Buyers Meeting Point - The Point - Will new startup NewsGuard address Fake News in Internet Research? NewsGuard, set to be released in advance of the Midterm elections this November, will charge platforms – not publishers – to rate the reliability of the news sources running content on their site. “Instead of black-box algorithms, NewsGuard will use human beings to rate news brands Green, Yellow or Red depending on whether they are trying to produce real journalism, fail to disclose their interests, or are intentional purveyors of fake news.” (WSJ, 3/4/2018). The largest investor in NewsGuard is Publicis Groupe, a France-based multi-national advertising and public relations agency. According to the Commentary piece, the ratings will be based on both NewsGuard’s experts and wisdom of the crowd. We are all wise to be concerned about the fake news in our midst. Is this the right solution? NewsGuard – It was announced in a WSJ commentary that NewsGuard “will use human beings to rate news brands, Green Yellow or Red” and analysts will create “nutrition labels” that wll report key facts about the brands. 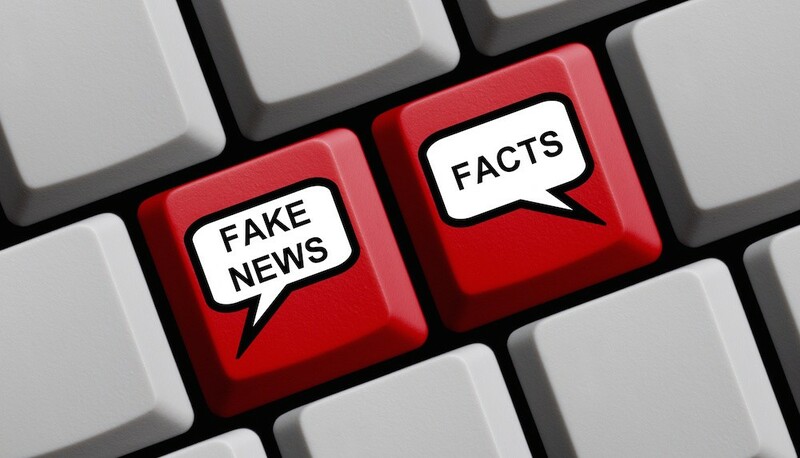 Factmata - Factmata describes itself as a fact checking community, leveraged by artificial intelligence and is planning to launch its own news service later this year. Storyzy - Storyzy focuses on detecting fake quotes that are automatically extracted from trusted news online articles. Trive – Trive is a combination of the words “truth” and “hive,” and uses blockchain based rewards to crowdsource news verification. Our.News – Our.News uses a combination of crowdsourcing and algorithms to provide neutral background data and allowing the public to rate the news or digital content. Distil Networks, Digital Shadows, PerimeterX, UserFeeds, Crisp Thinking, and Rappler are additional tech startups that have emerged to combat trending misinformation and are included in a CB Insights article. The one element missing from the discussion of misinformation and startups is the glossing over of the critical thinking skills that are required by the reader. The startups have admirable goals of helping readers detect and verify information and are doing so by shining spotlights on content and producers. However, as Kelly and I note in our book, “at its core, successful research is about careful reading,” and careful reading is required to think critically about all aspects of information being consumed, especially its value as a trusted source. That’s the problem NewsGuard hopes to solve. We are all so bombarded with content that we have a tendency to allow what we read (especially the headline) to overshadow where it came from. If you’ve read anything that Jeanette and I have written, you know that understanding where something came from and why it was written are the keys to determining its validity. On the positive side, the more attention we call to this problem the better. I appreciate that the voice of the crowd (whatever exactly that ends up meaning) will be reflected in the ratings. This not only distributes the responsibility for evaluating sources, it reinforces the fact that readers have a responsibility to pay attention to the news sources they come into contact with. Will this role be open to all readers or just select readers? Time will tell how NewsGuard handles the actual logistics. On the other hand, I have some concerns based on the article itself. L. Gordon Crovitz is a former Wall Street Journal publisher, and while he does discuss the challenges of information veracity in an open Internet era, the piece is basically a thinly veiled promotion for his new company. How might I rate the piece if I were a NewsGuard rating reader? In that one short paragraph, Crovitz invokes two adjectives for one news brand: left-wing v. progressive. Being a word person myself, I see both terms as ‘charged’ and reflecting the perspective of the reader. A liberal reader’s characterization of a brand as progressive would certainly clash with a conservative reader’s seeing that same brand as left-wing. I don’t profess to have the answers, but the problems themselves as very clear. At the end of the day, NewsGuard or not, readers and researchers bear the ultimate responsibility for the information and sources they cite. It is one thing to get local views via Facebook and even form an opinion based upon it. It is another thing entirely to formulate a corporate strategy based on questionable market intelligence. And while the commitment of our time is never ‘free’, it is the best way to ensure that we consult a diverse group of information sources and validate facts before moving forward.